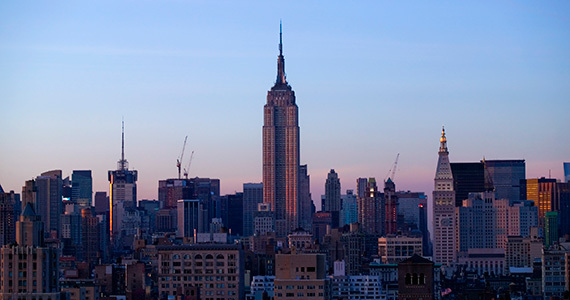 I’ve just spent the last couple of days at LegalTech, a big conference in New York that (in theory) brings together the best technology solutions that can be applied (read: sold) to the legal sector. I’ve come away from the conference rather confused. Let me try and explain why. In my work, I advise law firms and legal departments on why they need to transform, how they should be organised, and, crucially, what technologies they should be using. Now, I’m not telling tales when I say that working in the legal sector can be one of the most frustrating experiences possible, especially when you are trying to explain to lawyers why they should change the way they have been working and what tools they should use. Getting a lawyer, any lawyer, to adopt a new technology system, whether it be matter management, contract management, spend management or any other sort of management, can be like persuading Jeremy Clarkson to buy an electric car. 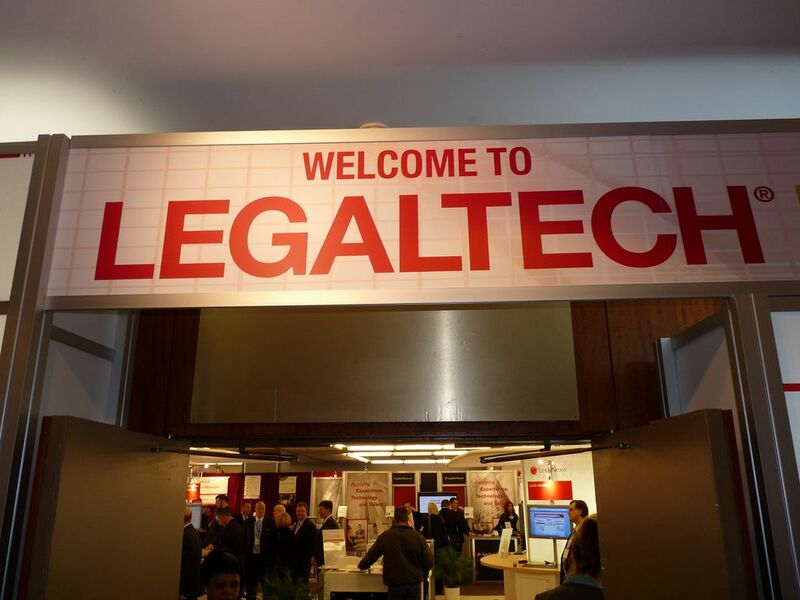 So, when I turned up at LegalTech on Day One and found literally thousands of lawyers hungry for the latest technology, I really couldn’t believe it. Where were these people when I needed them on a project? Why wasn’t every law firm and legal department dripping in technology? Just as Einstein had discovered the Wave/Particle duality, where light seemingly behaves as both a wave and a particle, I had just discovered the ‘Legal/Tech Duality’ – where attorneys behave as both lawyers and techies. This was a conundrum that needed to be solved. After extensive research (i.e. speaking to lots of vendors at their respective booths) the solution to my puzzle would seem to have a number of answers. Firstly, it is clear that a lot of the technology is aimed at ‘provincial’ law firms. In the UK, these would be the 5 to 10 partner firms based in towns rather than cities. The technology is either point solutions (e.g. add-ons to Microsoft Office) or Practice Management Systems (PMS) which are essentially mini-ERP systems for law firms. All of these users can benefit dramatically from even a sprinkling of technology, and they should take on as much as they can accommodate. As the Americans would say; they should fill their boots. Secondly, by far the biggest category of technology at legalTech is e-discovery. Working primarily in Europe, this is of relatively little interest to me, but I do know that e-discovery software can make a massive difference to the costs of a matter (one of my clients reduced their law firm bill by around 80% by using an e-discovery service rather than their panel firm). What is interesting to me though is that there are so many vendors touting their solutions. How do you differentiate one from another? Surely it just comes down to accuracy, cost and ease of use (in that order), and, as far as I know lawyers, it will be the accuracy that will dominate selection. What’s curious is why you would need to go all the way to New York to not find this out (because all vendors will tell you that theirs is the most accurate), but it seems that that is what people seem to do. If that’s what works for you, then go for it. And, of course, one shouldn’t forget the networking opportunities that these sorts of conferences bring. Beyond the booths there were panel discussions, lunches and even a ‘Rock the Law’ concert in the evening. But, in amongst the add-ons, PMS’s, e-discovery solutions and lunches, there were some top class enterprise grade technologies. But I should emphasise the ‘some’. The list was hardly complete, and a number of vendors chose to hold ‘fringe’ events, meeting prospective clients in other hotels close by (a far more civilised approach, in my personal opinion). Which makes you wonder about the ongoing validity of the core event. But, hey, if it gets everyone together in the same city to talk about technology in legal, then one can only applaud that. So, from a personal point of view, there were some real gems in there. Seeing the combined capabilities of Thomson Reuters (LPO + contract management + IP management + research etc) all in one place was encouraging. Hearing about CPA Global’s non-IP services, providing a service ‘wrapper’ around a number of cool technologies (Seal, Contract Room, etc) was interesting. Seeing HighQ’s all-conquering Collaborate platform fused with the Artificial Intelligence (AI) search capability of RAVN was a particular joy. Which brings me nicely to my final point: my own opinion on what technologies will be shaking the foundations of the legal sector in the years to come. There are two in particular: AI and Blockchain. I did see some evidence at Legal Tech of AI making a real difference, particularly in the contract ‘search’ space. A number of panel speakers mentioned successes in this area, but I fundamentally believe that this technology will have a massive impact on the efficiency and capability of law firms and legal departments to deliver real value. Not to replace lawyers, but to augment their skills and experience. Once that is understood then the barriers to adoption should be broken down and we should see some real progress. 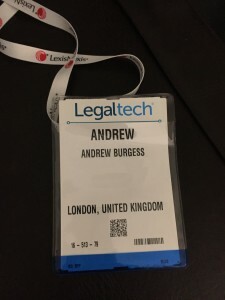 I went to the ‘Future of Legal Tech’ panel session full of hope, with expectations to hear what cool new tech would be shaping the legal sector in the next five years. Instead, my heart sank and my shoulders dropped as the bulk of the discussion centred around tablets and Windows 10 (a ‘technology’ that has been around for at least 6 months and is being used by every man and his dog). But, there was a brief moment of light, when the subject of blockchains came up. For those that don’t know, this is the technology that underpins Bitcoin, and essentially enables the disintermediation of centralised ledgers. In the finance world, this could spell the end of central banks, and in legal it could mean the redundancy of any central ledgers such as the Land Registry. Blockchain technology has the potential to guarantee the ownership of any asset and the authenticity of any transaction. Just think about that, and it becomes obvious that the impact on lawyers is going to be huge. 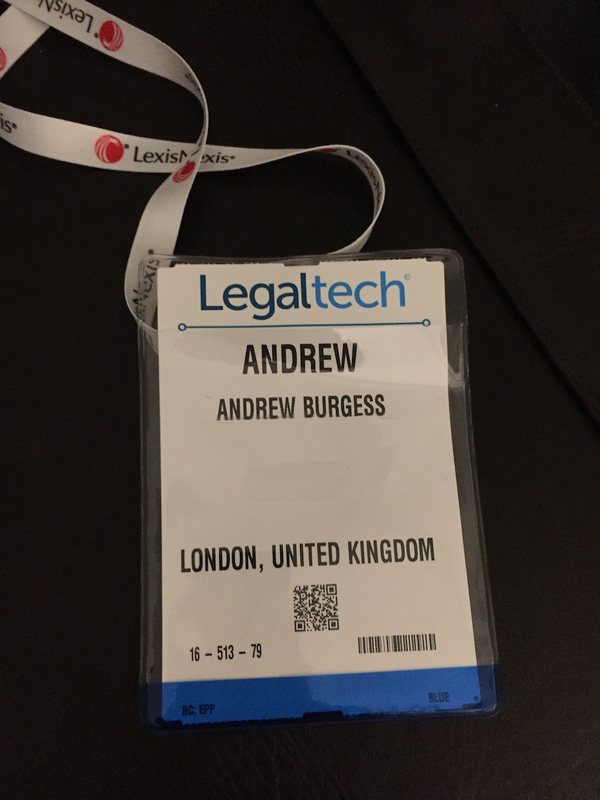 So, after my two days cruising the booths, the ‘Legal/Tech Duality’ now makes much more sense to me. LegalTech as a conference, less so. Whilst there is still the need for potential buyers to get ‘hands on’ with some software, an event with this pull and influence should surely try to be more more forward-thinking and challenging so that it can help help inform and shape the legal technology agenda, rather than just be a department store shop window.